To architect a security solution for your Hybrid Cloud we need to first understand which hybrid cloud layers are in use by your organization, then provide a solution that covers all those interfaces. This presentation removes the guess work and allows the security practitioner to concentrate on the necessary layers: a spectrum of security. Edward provides Cloud Computing, Virtualization, Cloud Security, Virtualization Security, Network Security, and Secure Coding Consulting as well as Linux Security and Application Development. He’s a Guru and moderator for and participant in the VMware Community Forums and moderator for the Virtualization Security Podcast held every other week on Thursday. Edward is also Analyst and Managing Director for The Virtualization Practice, LLC and participant in the VMware VMTN Communities Roundtable Podcast held every Wednesday. 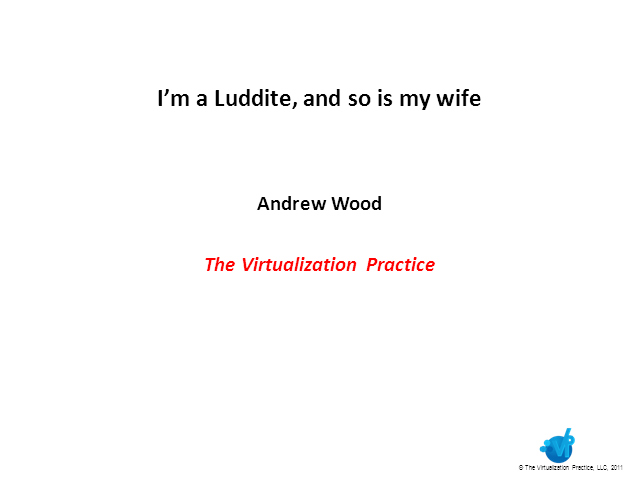 Edward writes blogs about virtualization on his own blog, Blue Gears, as well as for The Virtualization Practice, and also writes for various online and physical magazines. The demand for business functionality implemented in software is infinite. This creates an infinitely long applications development backlog. These factors combine to drive innovation in application development processes (Agile) and tools (PHP, Ruby, Python, Node-JS, Scala). As a result of these process and tool innovations more rapidly changing applications are being put into production at a faster rate then ever before. And these rapidly changing applications are being deployed on new dynamic, virtualized, scaled out and distributed infrastructures. The combination of rapid application development and dynamic execution environments create a brand new application performance management challenge. Attendees to this webinar will learn how to approach managing these new types of applications, how to approach tool selection, and how to organize successfully to manage these new applications in production. Dynamic and virtualized data centers, private clouds, and public clouds are radically different environments than their static and physical predecessors. These new environments have radically different operating characteristics which create new management challenges. These new management challenges require new process, tools, and organizations. Attendees to this webinar will learn how to approach managing these new environments, how to approach tool selection for these environments, and how to organize to successfully manage these environments. Moving to the cloud is not an overnight endeavor. To move securely, compliant, and safely is an ongoing planned exercise. This webinar will explain a method to move to the cloud, stand up workloads in a secure environment, and eventually cut over to the cloud. We will also detail the bare minimum security and compliance requirements of your chosen cloud provider. The entire data center includes virtual, physical, and hybrid cloud instances, that all need to be secured. When we talk about hybrid clouds, security becomes all about the data and not necessarily the virtualization in which the data resides. Building upon existing thoughts on hybrid cloud security, this presentation provides a reference architecture into which virtualization and physical security products can fit. How to fit each of these products into a hybrid cloud for proper security and management is almost as important as what they do.